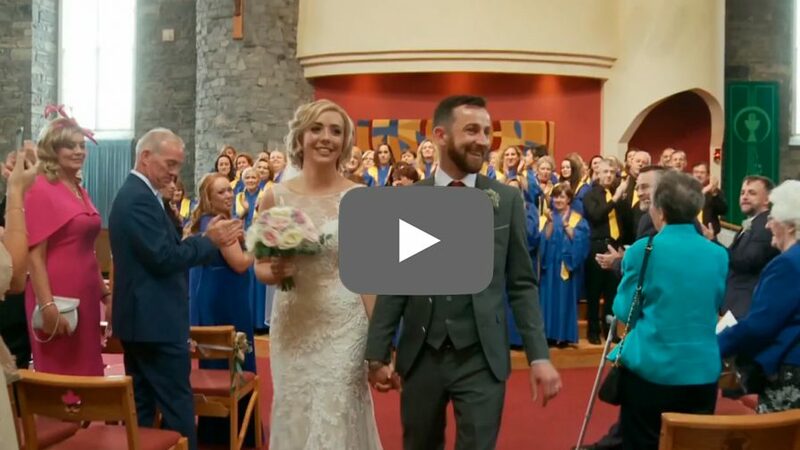 And here is the full highlights clip of the finished wedding film! The ceremony was in one of my favourite churches, St. Mary’s in Lucan. I just love the light and the space! Then onto Ballyna House at Moyvalley Hotel. The old house and the gardens provide such a lovely backdrop, and the staff as usual, couldn’t have been nicer and more helpful. It was also great to work with photographer David Maury for the first time. And the magician Andy James kept the guests wowed and entertained for the afternoon!